Portfolio | Capstone Construction & Management, Inc.
(2013 - 2015) Construction of a new, ski in, ski out home near Jackson Hole Mountain Resort. This home has an open floor plan, exercise room, outdoor hot tub and fire pit. (2011 - 2012) – Construction of a new custom barn. 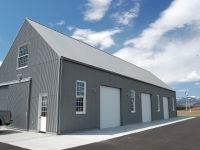 Project consisted of a construction of a 90' x 30', 3,500 square foot barn with a storage/loft space, wet bar, bathroom, and mechanical closet, located in the Dairy Subdivision. 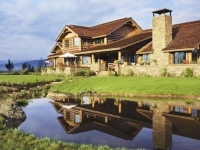 (Spring 2010 - 2013) – Construction of a new 10,000 square foot custom home at Amangani. 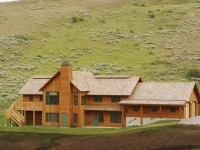 (2008-2010) – Construction of a new 8,000 square foot custom home and guesthouse in the Three Creeks Subdivision. (2005-2008) – Construction of a new custom home. Project consisted of a main house, pool and pool house, auto barn and out buildings up to 10,000 square foot total. 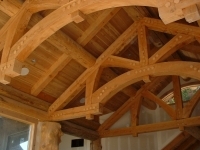 (October 2004-Spring 2005) – Project consisted of a frame and timber home with a log element about 6,800 square feet in size located in Spring Creek Ranch. 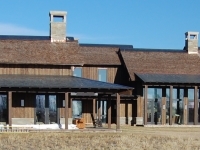 (April 2001-October 2004) – Renovation and addition to a 6,000 square foot home including a guest wing and billiard room. In 2004 we added a 1,000 square foot guest home to this project. 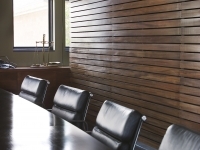 (April 2003-July 2003) – A 3,000 square foot contemporary office tenant improvement project. (July 2002-November 2002) – Renovation of a 4,000 square foot office. 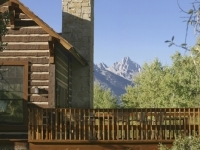 (July 2001-June 2002) – Construction of new south cabin with total square footage of 3,800. (August 2001-July 2002) – Construction of Manager’s home with total square footage of 3,900. 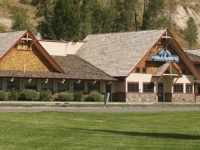 (November 2000-March 2002) – Renovation to a 3,000 square foot building and an addition of 3,000 square feet including a crematorium. 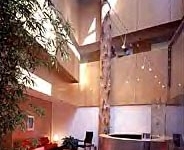 (June 2000-March 2002) – Renovation and addition to a 5,800 square foot home. (October 1999-September 2000) – Renovation of the rug gallery in addition to tenant improvements above the gallery. 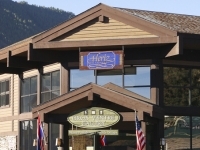 The Gros Ventre Rug Gallery is no exception to Capstone's ability to construct eloquent, unparalleled, quality structures in the Jackson Hole area. Located across from Pearl Street Bagels on Pearl Street in Jackson, this beautiful sq. ft. building stands tall with incredibly massive windows to enjoy all views and display merchandise in the most attractive manor. 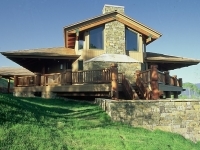 (May 1998– November 1999) – Construction of a 7,000 square foot log and frame home with challenging ground water and soils issues. 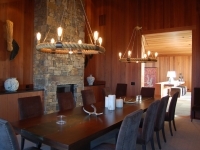 Including renovation of the entire building site and renovation of an existing 1,000 square foot guest home. 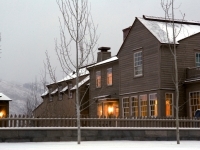 (December 1997-January 2000) – Construction of 8,000 square foot timber frame home and a 1,000 square foot guest home. (June 1996-June 1997) – Construction of an 8,000 square foot commercial building with non-standard structural and architectural designs. 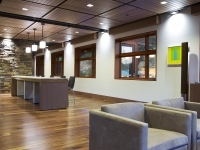 This project consisted of a variety of angles, large picture windows and functionality. Architecturally designed in a "wedge" shape, this project stands alone as one of Capstone's most accomplished construction. 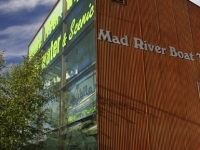 As one of the most unique commercial buildings in Jackson Hole, the Mad River Building is approximately sq. ft. and is located south of Jackson on Highway 89. (July 1995-February 1996) – Construction of 3,800 square foot home. 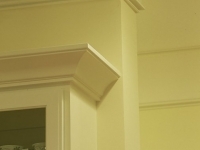 Project cost $600,000. Added an artist studio. 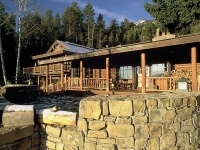 (April 1995-October 1996) – Renovation of an 8,000 square foot, eighty-year-old log home with a substantial addition. (June 1994 – February 1995) – Construction of 8,000 square foot contemporary building. Also unique in it's architecture, the Riddell building is one of Capstone's most impressive commercial projects. Because this building was created to reflect the nature of the business it housed, the Riddell building took on an artistic flare and contemporary look. Today, many Jacksonites look to this building to find the highest quality of construction and asthetic appeal. The 8,000 sq. ft. building features many windows,beautiful hand-hewn logs, and massive functionality, and is located at Jeter Street in the town on Jackson. (May 1992-November 1994) – Construction of a 6,500 square foot home, with a 1,000 square foot guesthouse, a 900 square foot office, and a 1,000 square foot caretaker’s residence.